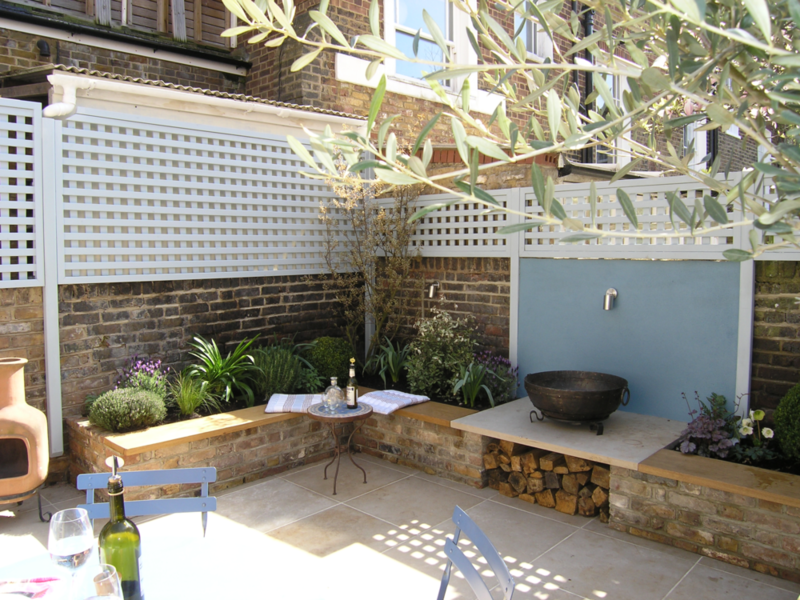 A small traditional courtyard garden design in Islington N1 is inspired by our client’s love of Provence. 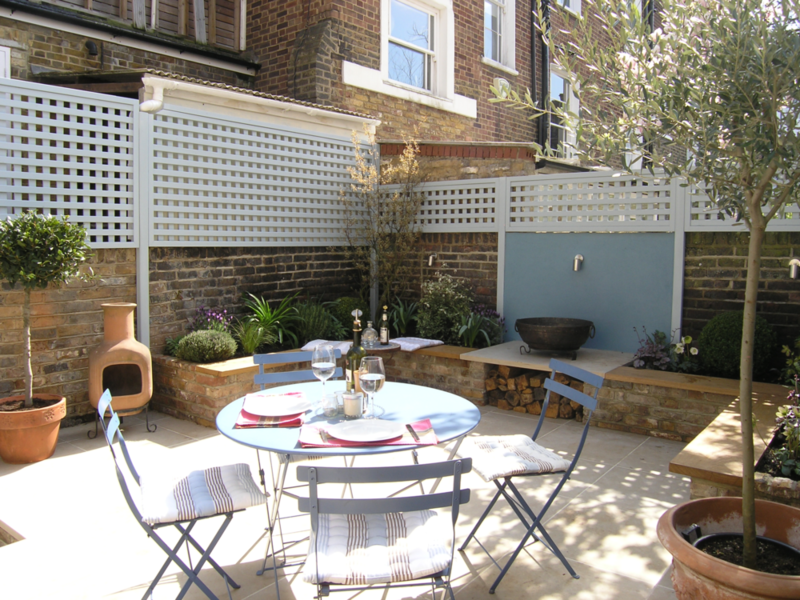 We have used the existing garden walls with their patina of age to help create a Mediterranean feel in this sunny south facing small London back garden. 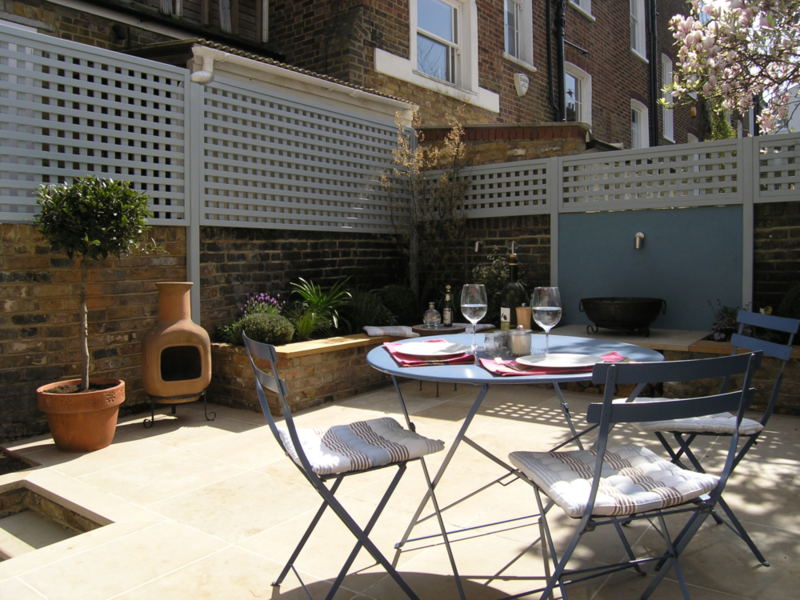 Above the warm stock brick walls, bespoke trellis panels are painted with Provence inspired Farrow and Ball Parma Grey. Steps rise from the kitchen to the pale warm limestone patio area, affording ample space for a dining table and four chairs. The raised planter is built with reclaimed stock bricks with a generous kiln dried European oak top. The planter maximises space and provides comfy seating for socialising with friends and family. 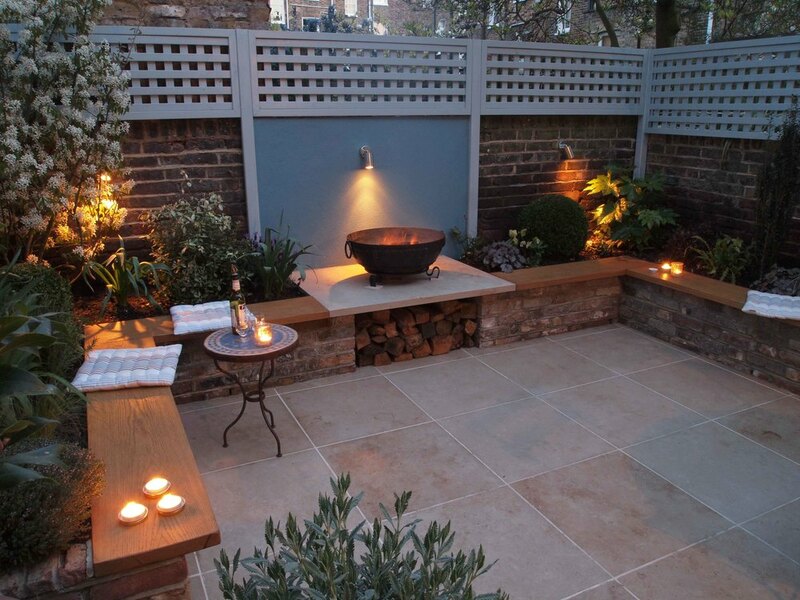 In the centre of the rear boundary wall – a lit rendered and painted panel draws the eye to the focal firebowl on a limestone plinth. The real fire gives visual interest and warmth and can also be filled with charcoal for BBQs. Planting is in keeping with the Provencal theme with Lavender, Rosemary, Thyme and Sage filling gaps between clipped Buxus topiary. 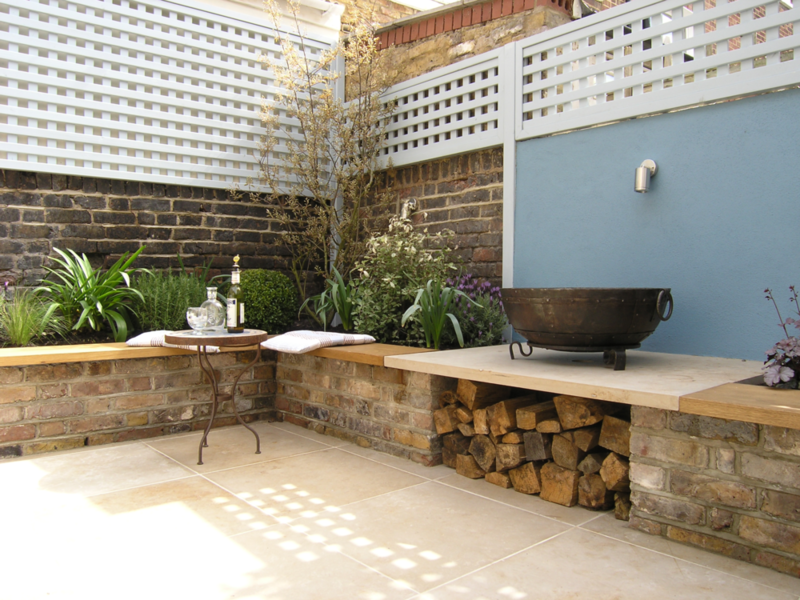 An Olive and a Bay in terracotta containers lend height to the patio along with a beautiful Amelankier in the rear corner of the raised planter.